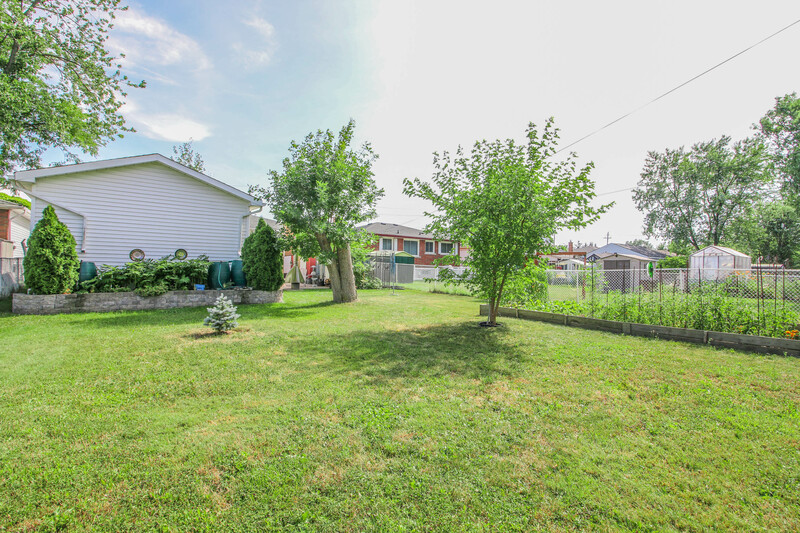 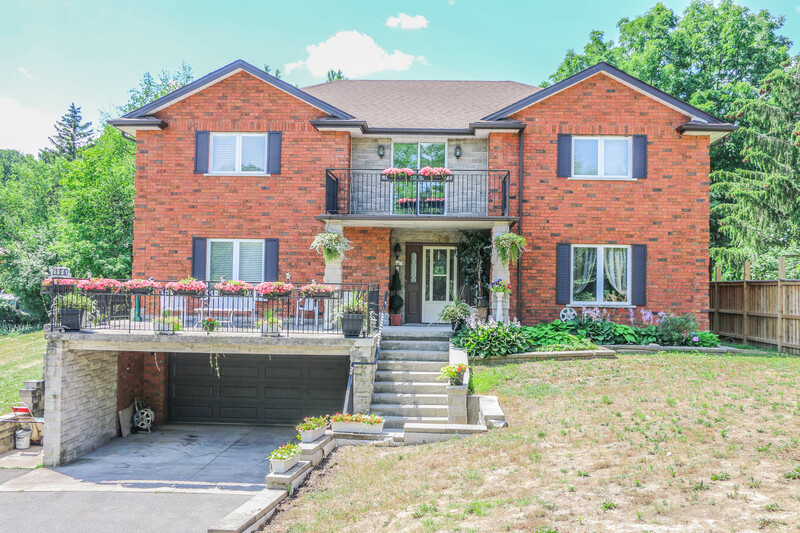 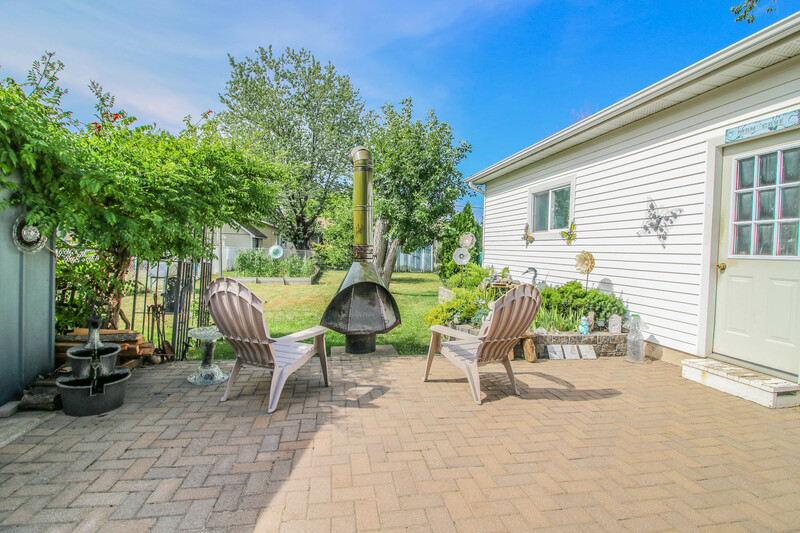 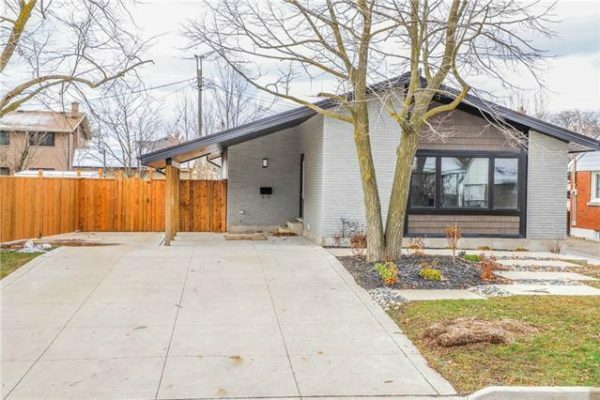 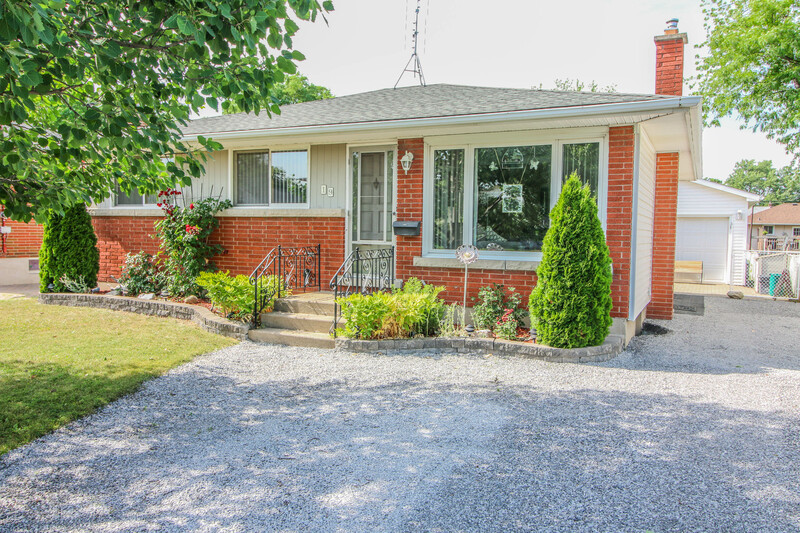 Beautiful Brick and Vinyl sided Bungalow in quiet and mature Secord Woods neighborhood with a large wonderful lot and an oversized 1.5 car detached garage/shop. 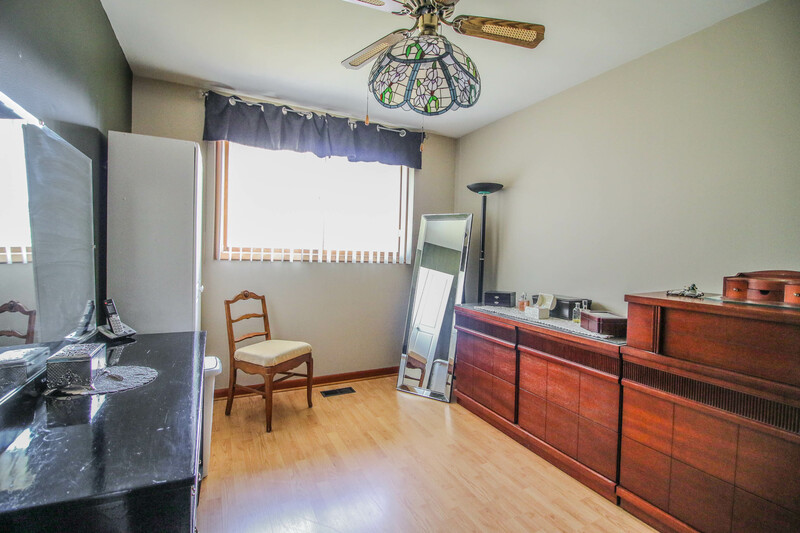 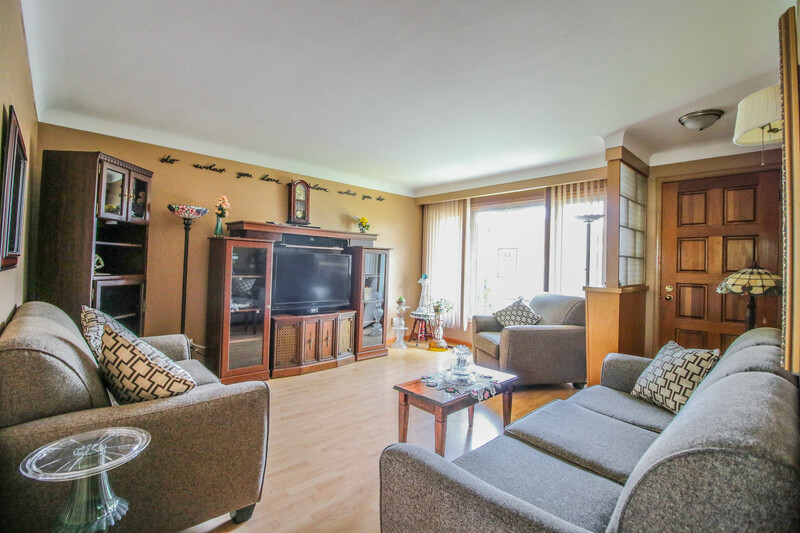 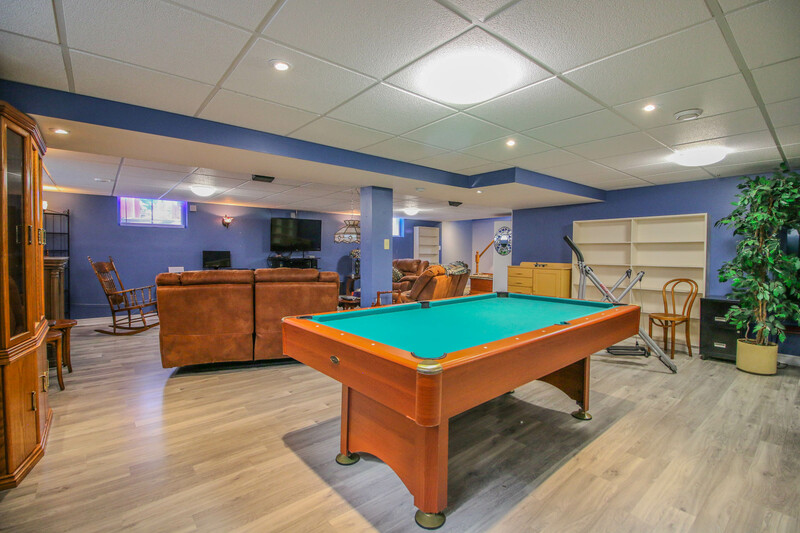 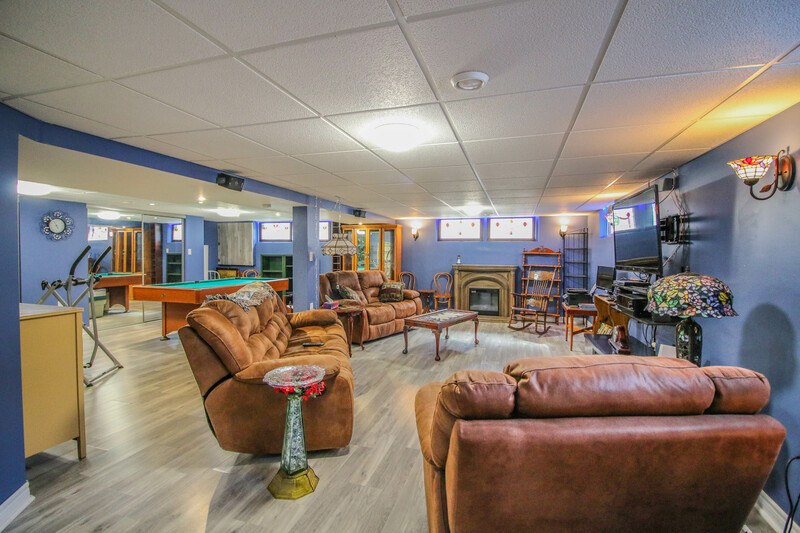 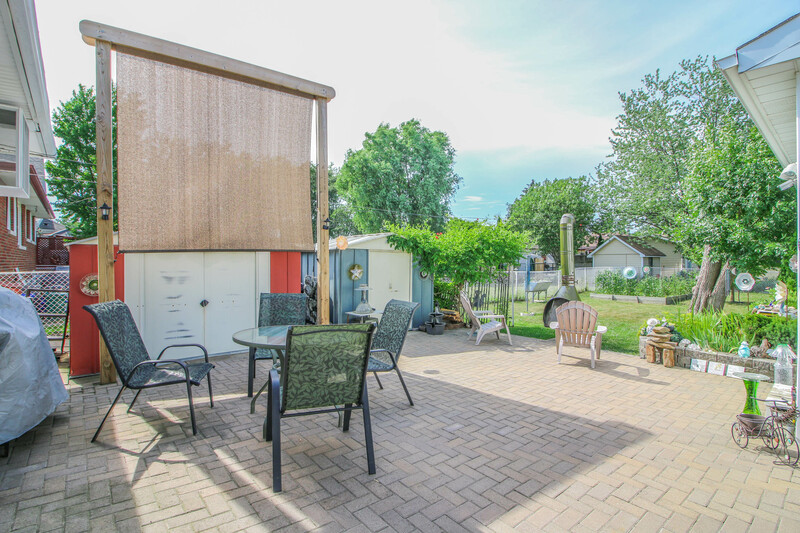 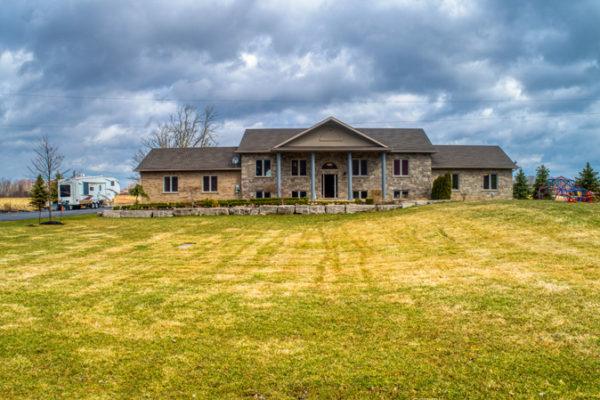 This 3 Bedroom home is 1050 SQ FT and boasts an additional 900 SQ FT of living space in the basement which is professionally finished with drywall, dropped ceiling, laminate floors, modern trim, and custom LED mood lighting & pot lights throughout the rec room. 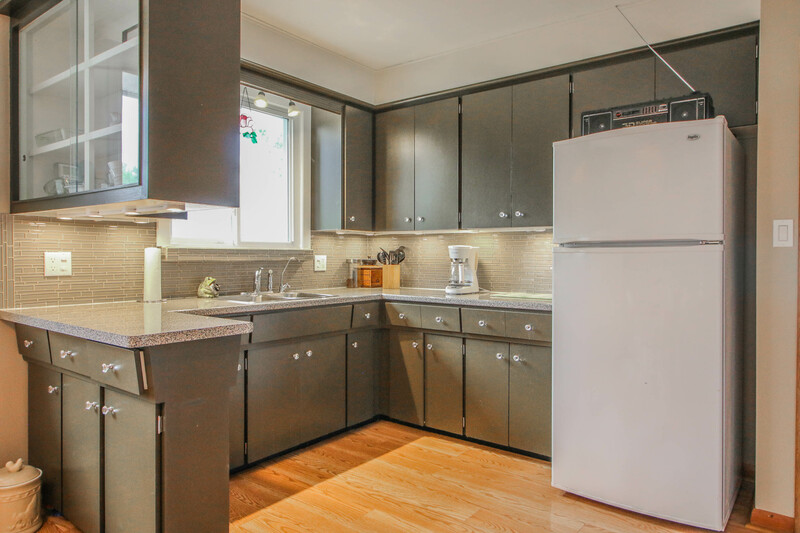 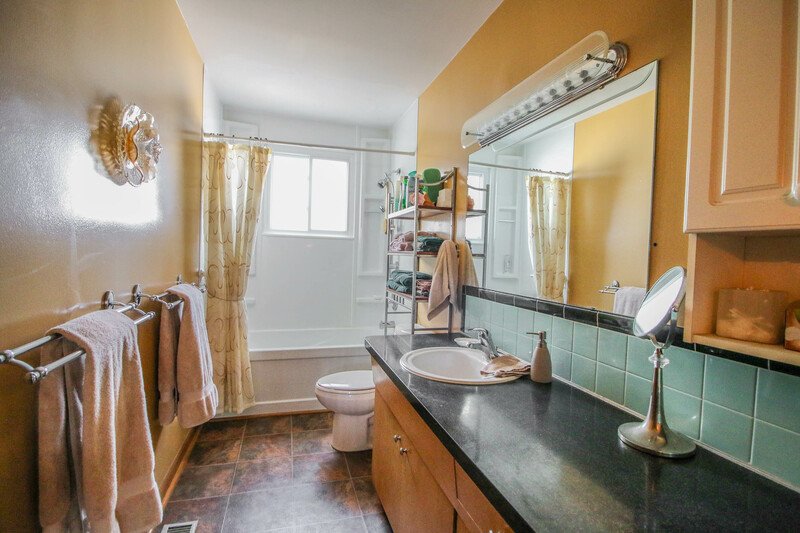 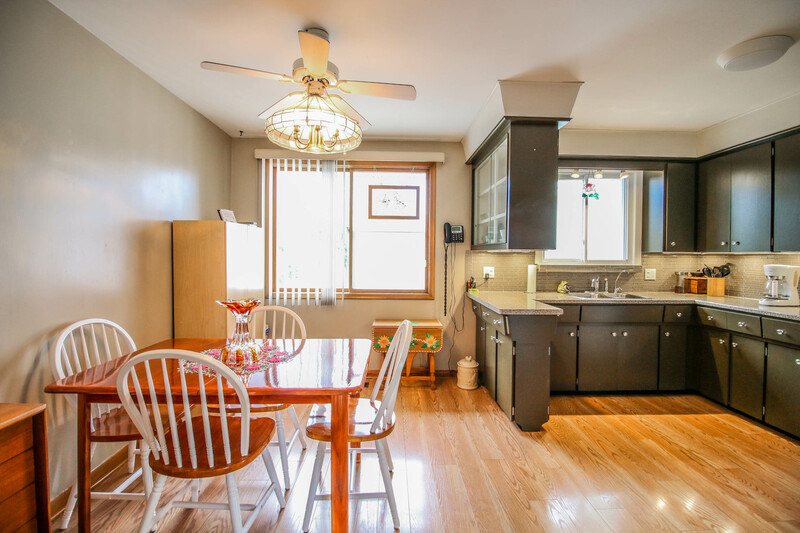 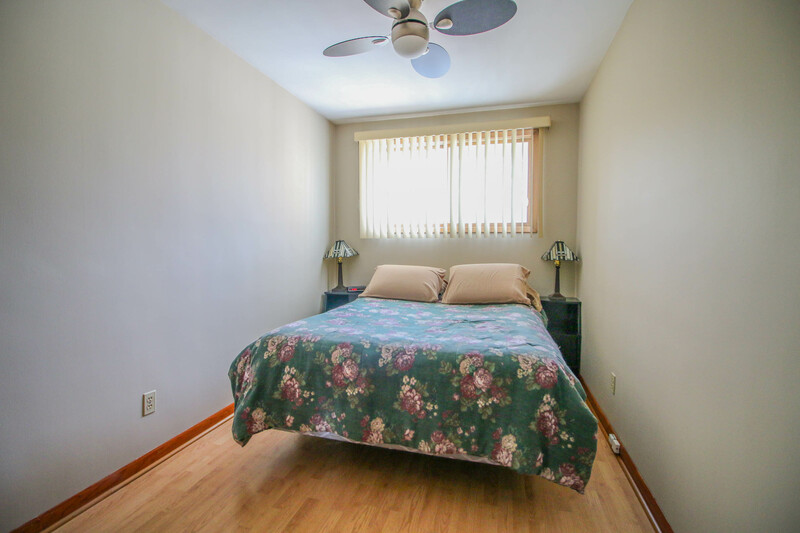 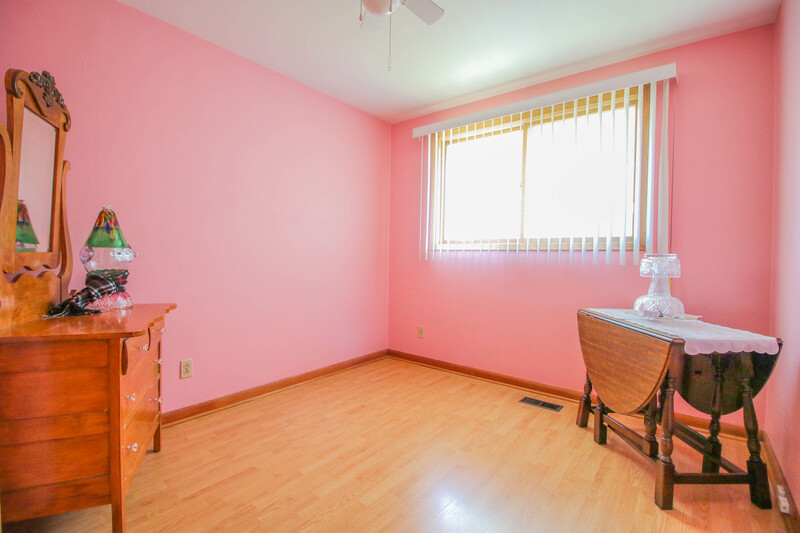 The main floor offers laminate flooring, a nicely refurbished kitchen and bathroom, and laminate floors throughout. 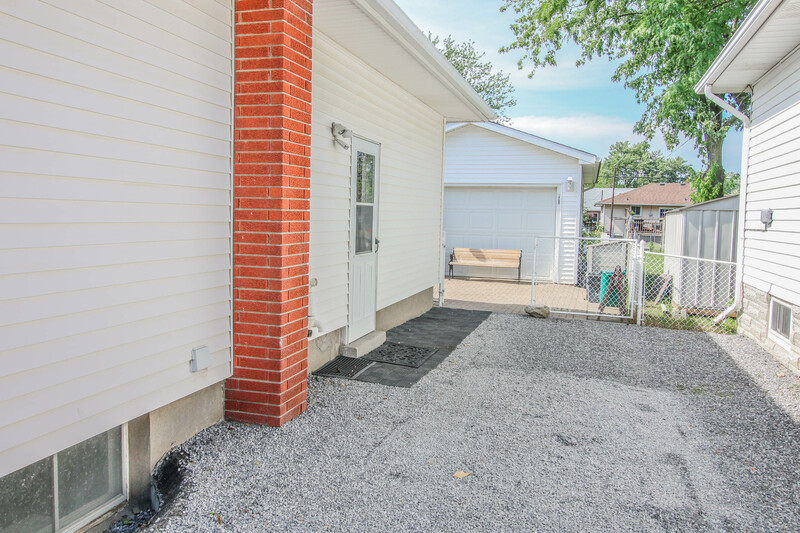 Other features include an upgraded 200 amp hydro panel on breakers, recent tank less hot water heater, Central Air, updated windows and roof, two sheds, gas line for BBQ, fully fenced yard and well cared for gardens, interlocking brick patio in rear, and a large detached garage built in 2004, which is insulated, and fully finished with drywall, and access to a loft space for storage. 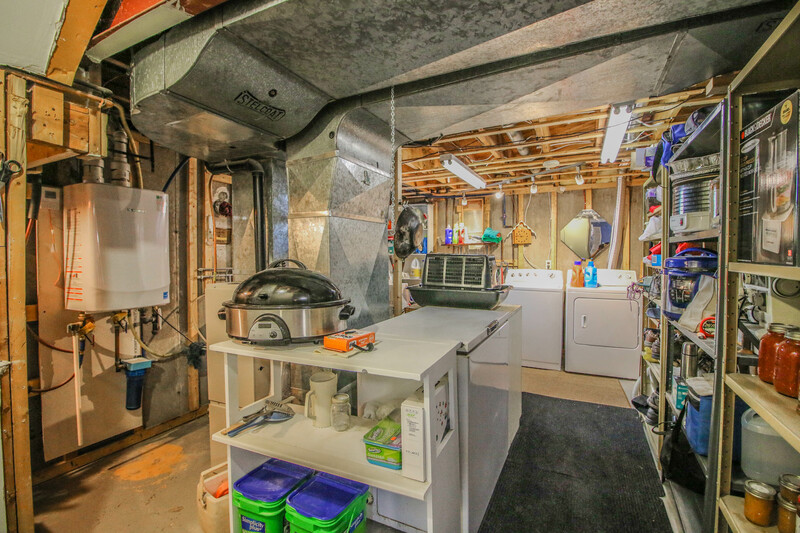 The garage is 16ft x 24ft and has 9ft ceilings, with hydro wired in.